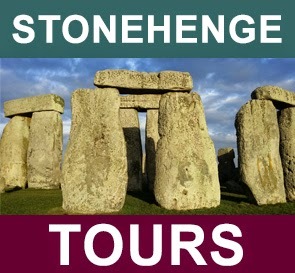 Stonehenge souvenirs chart tourism history. New English Heritage Exhibition. Souvenirs of Stonehenge - ranging from the tacky to the tasteful - are due to go on show at the World Heritage site. The exhibition, opening on Friday, charts Stonehenge's rise from isolated ruin to famous tourist attraction. Postcards, china, stamps and souvenir books are among the "Stonehengiana" going on display, amassed by curator and archaeologist Julian Richards. Mr Richards said the exhibition showed that visiting the stones was "part of a long tradition". Managed by English Heritage, the ancient circle attracts more than a million visitors a year. 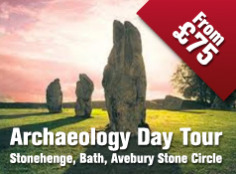 However, the organisation said Stonehenge may have been considered a tourist attraction as early as the Roman period. The crumbling curiosity also proved a draw for the Victorian tourist who visited in sufficient numbers to warrant the first guidebooks and souvenirs. By 1901, the rise in visitor numbers and damage to the stones saw an admission charge introduced to pay for a police constable to protect the site. 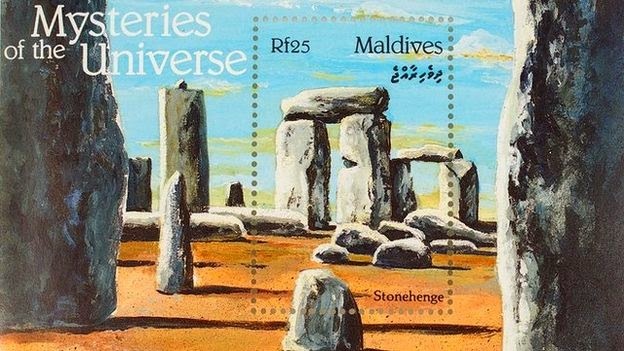 Postcards went on sale in the early 1900s, and, from the 1970s onwards, growing international recognition saw Stonehenge feature in an eclectic mix of art, music and popular culture from spoof rockumentary This Is Spinal Tap to the Thor comic books. "I am fascinated by how Stonehenge has been experienced by visitors over the years and the way in which it has been used as an inspiration for art and music," said Mr Richards, who picked up many of the artefacts on the auction website eBay. "The 1823 guidebook shows that even 190 years ago there were enough people fascinated by Stonehenge to want to visit it and for a book to be written about it." The exhibition runs until 31 August. A new discovery about Stonehenge sheds a whole new light on the purpose of the mysterious, 5,000-year-old megalith — literally. While archaeologists have long been certain the ancient monument was created as a religious altar for worship of the summer sun, the new discovery shows that the winter sun was just as important to the long-lost civilization that built the strange structure. 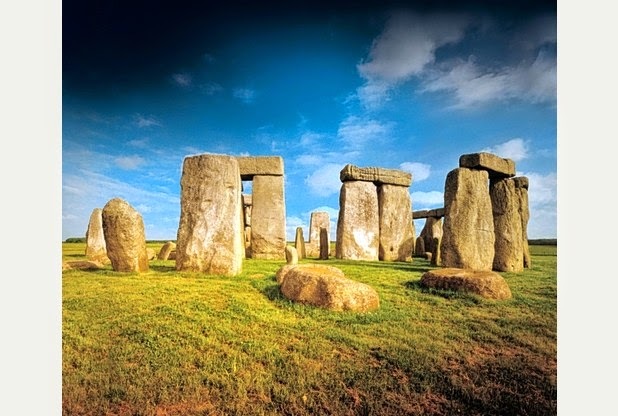 The discovery relates to the tallest stone in the semi-circular structure, a stone that most researchers have long assumed was aligned incorrectly, because while the rest of the massive stones that make up Stonehenge align with the sun at the summer solstice, that particular stone does not. 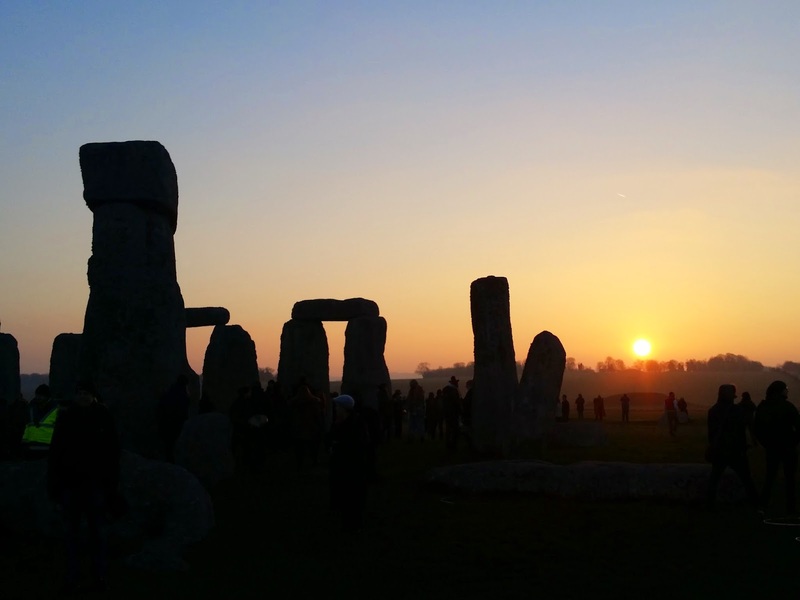 But according to researcher Tim Daw, who is also a groundskeeper at the ancient site, just because the stone does not align with the mid-summer sun doesn’t mean it isn’t in the right place. By 1901, the stone had mostly fallen. At the time, it was raised back to what was believed to be its original position. 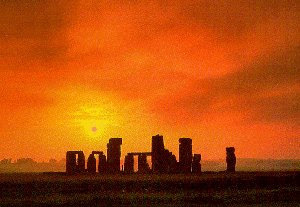 But the stone did not line up with the summer solstice, so Stonehenge experts simply assumed the 1901 restoration job was carried out poorly — and the stone was in the wrong place. But Daw’s findings say that the stone was in the right place all along. The 1901 restoration workers did not make a mistake. In fact, the stone lined up not with the summer solstice, but the winter solstice — as did five other stones around it, which have long since fallen and were never restored. “My research shows that not only was the standing stone out of symmetry with the central solstice alignment originally, but that its now fallen partner had also been, and so were surrounding stones, including the Altar Stone,” Daw said. Daw is the same researcher who made headlines last year when he discovered, largely by accident, impressions in the ground that proved Stonehenge was originally a full circle, not just a semicircle. But what happened to the rest of the stones remains one of the many mysteries of Stonehenge. Thousands of extra tourists a day will be able to visit Stonehenge after council planners gave the go-ahead for a new 26-space coach park at the visitors' centre a mile and a half away. English Heritage asked Wiltshire Council planners for permission to convert a field near the Airmen's Cross visitors' centre into a new coach park alongside the one built at the same time as the visitors' centre back in 2013. Visitor numbers have rocketed up by a third at Stonehenge since the centre opened just before Christmas 2013, with 300,000 more people visiting the Wiltshire monument last year than the previous highest of a million. Most of those come by coach on organised tours from London, but operators warned they were struggling to find the space in the coach park, and English Heritage warned coaches were turning up anyway, and dropping passengers off in potentially dangerous spots around the centre. Planners gave English Heritage permission for the coach park but this was temporary for two years, amid fears of the impact on the landscape and the increased traffic. The same planners turned down a similar English Heritage application to make the grassed temporary car park permanent, saying the government body had not sufficiently landscaped its plans to help hide the cars on the open spaces of Salisbury Plain.